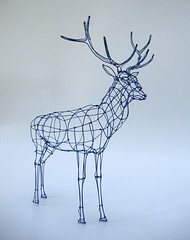 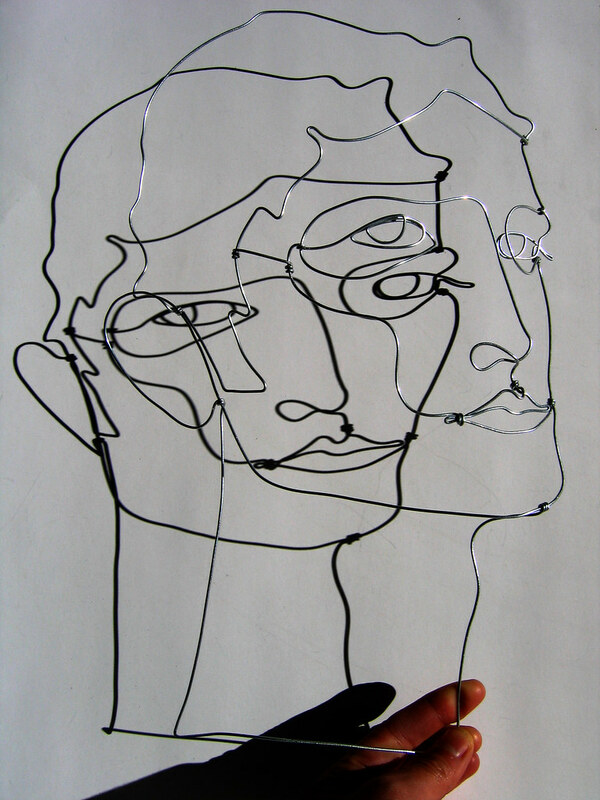 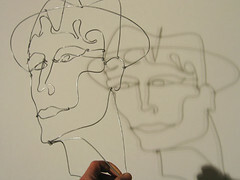 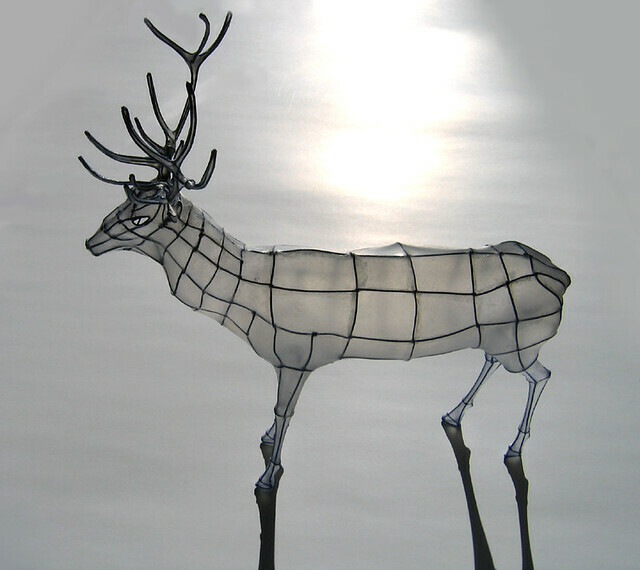 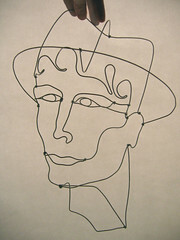 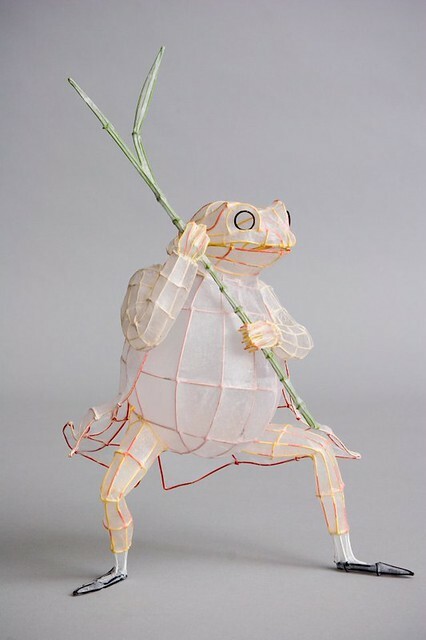 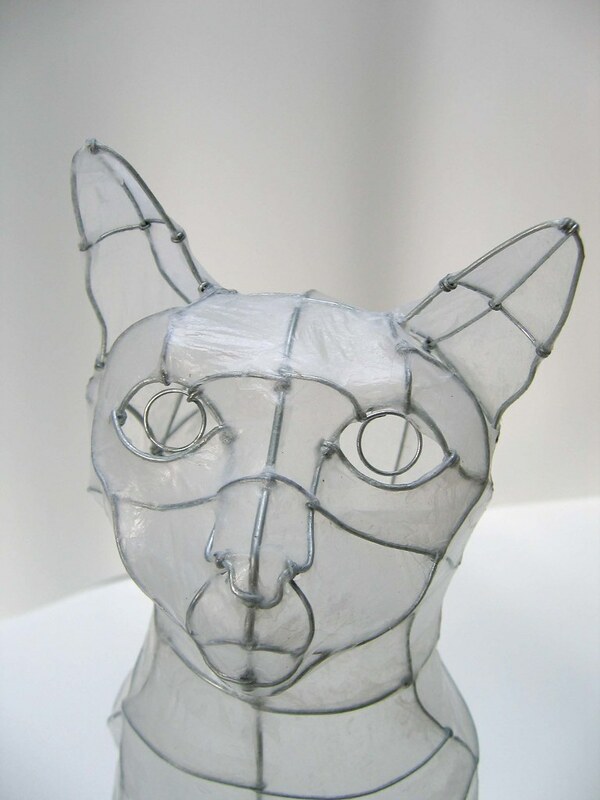 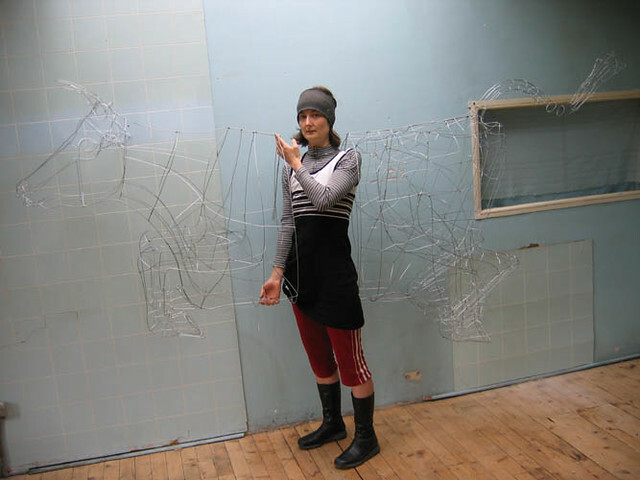 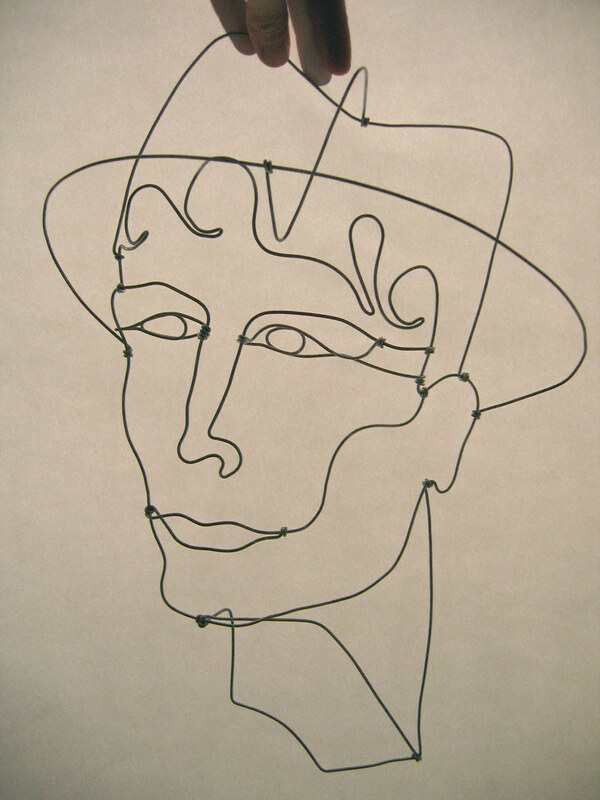 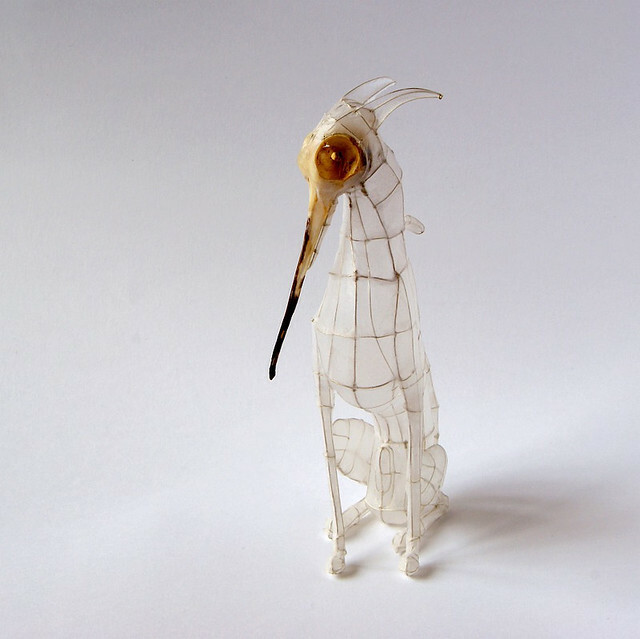 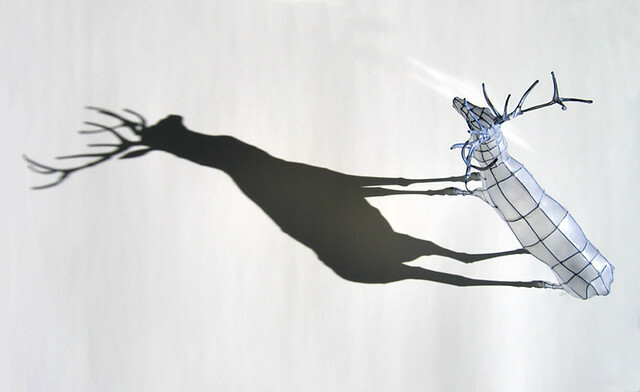 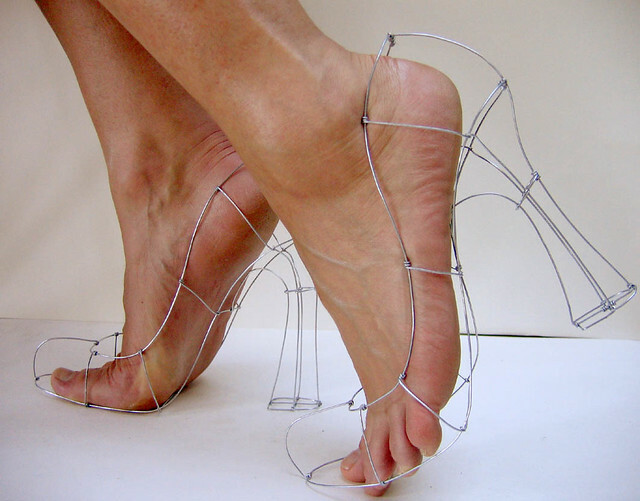 Wire Sculptures by Polly Verity. 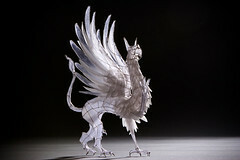 Mythological Creatures, Beasts, Chimera. 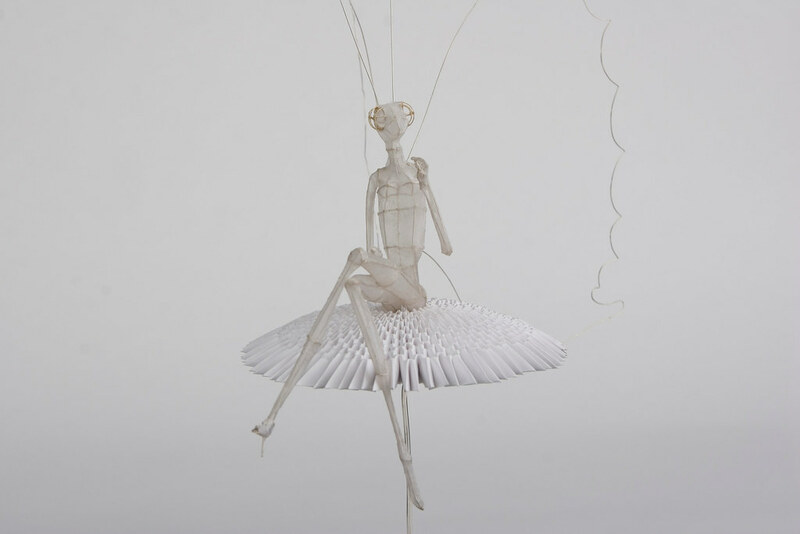 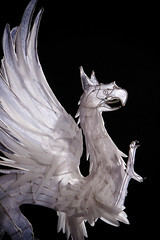 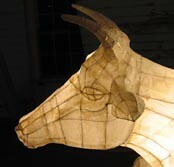 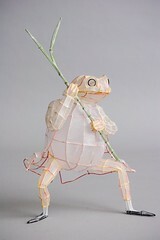 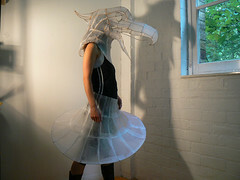 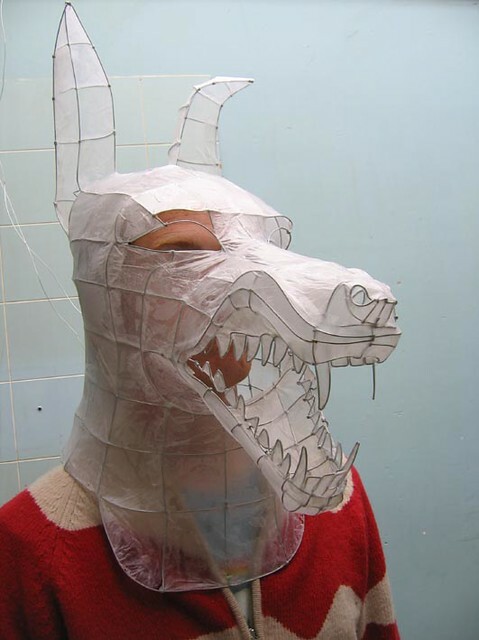 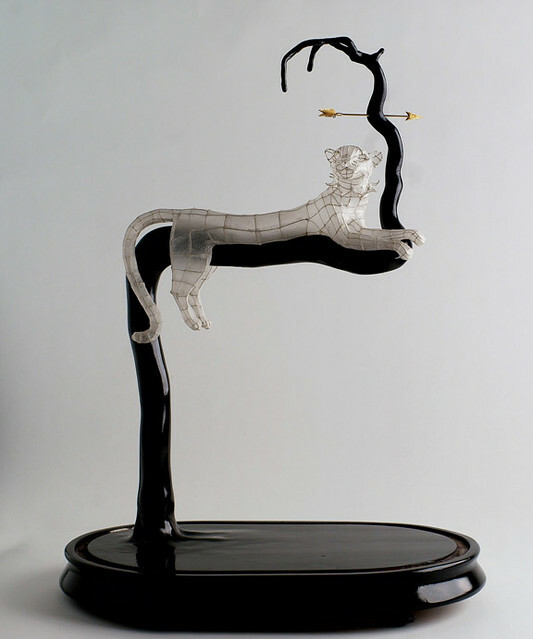 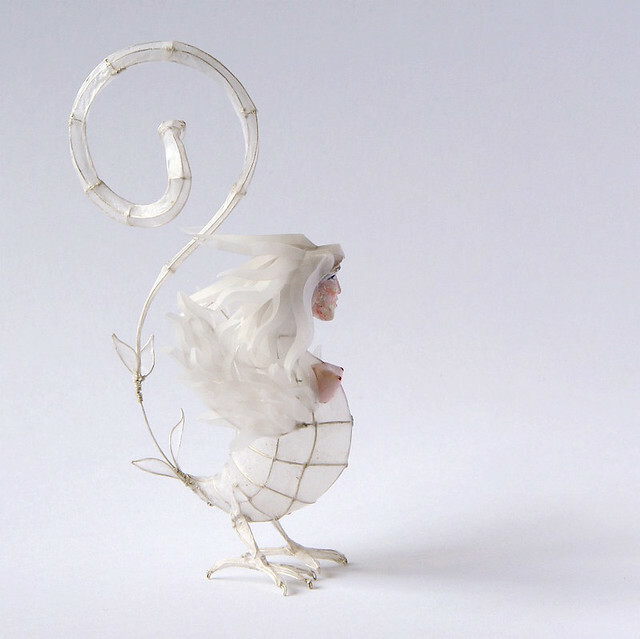 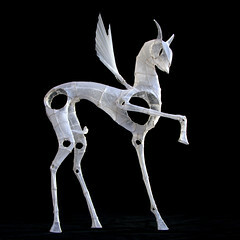 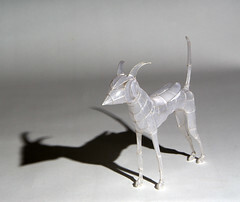 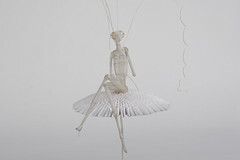 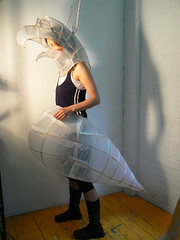 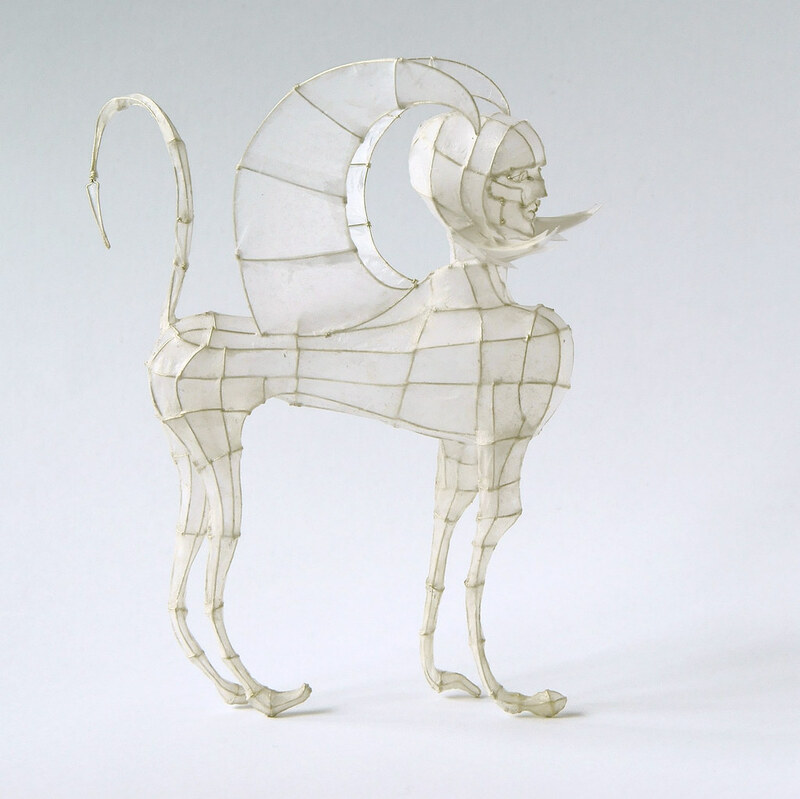 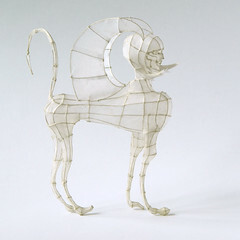 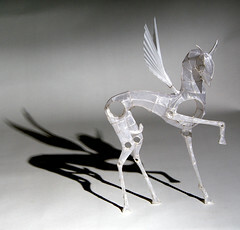 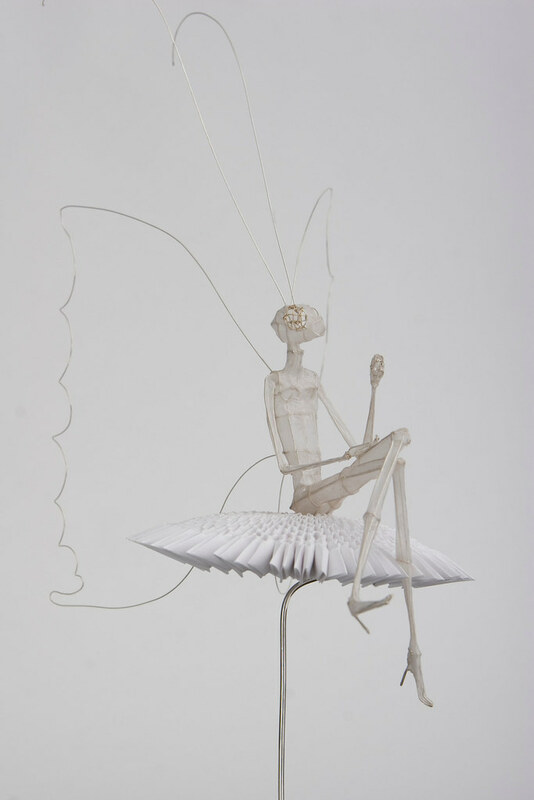 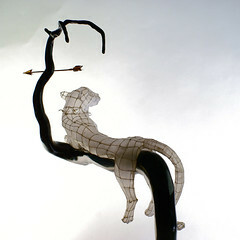 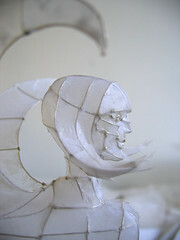 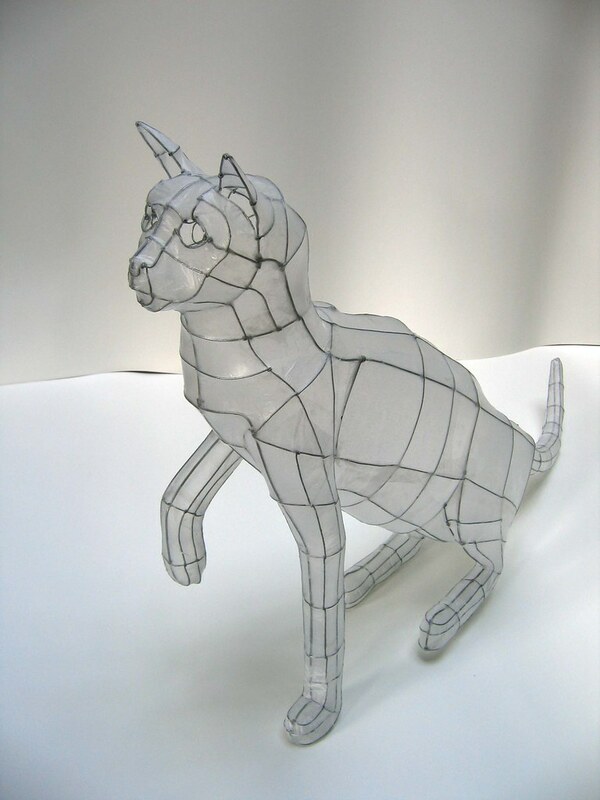 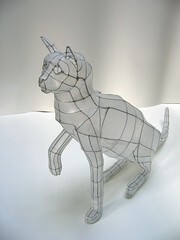 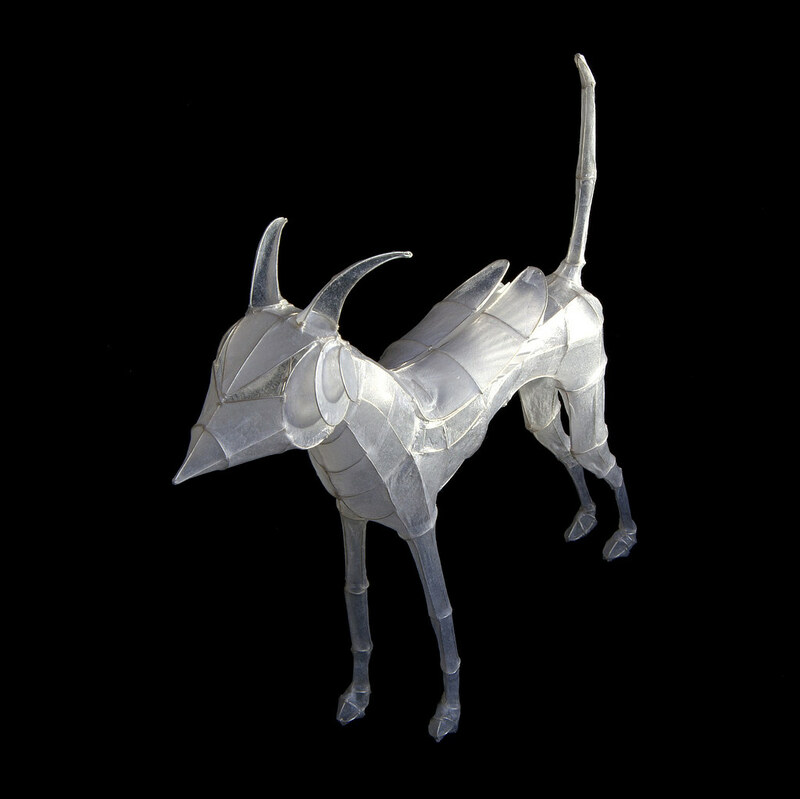 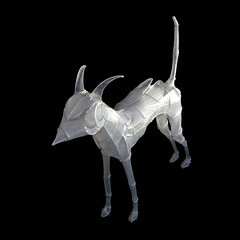 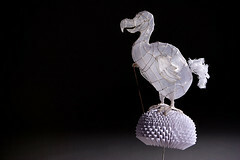 Paper and Wire Sculpture: sphinx to go on show at Papershapers, Giant Robot, Scion Installation L.A. Pure silver wire and a fine conservation grade paper is used. The wire is worked cold using pliers and held together by the tight wrapping of the wire around itself. 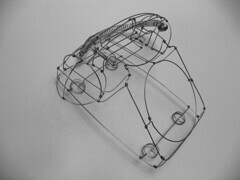 An exoskeleton is created in the wire that is influenced by 3D wireframe computer modelling techniques. The idea being that each line created contains as much information about the creature as possible so that the amount of lines themselves may be kept to a minimum. 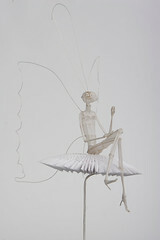 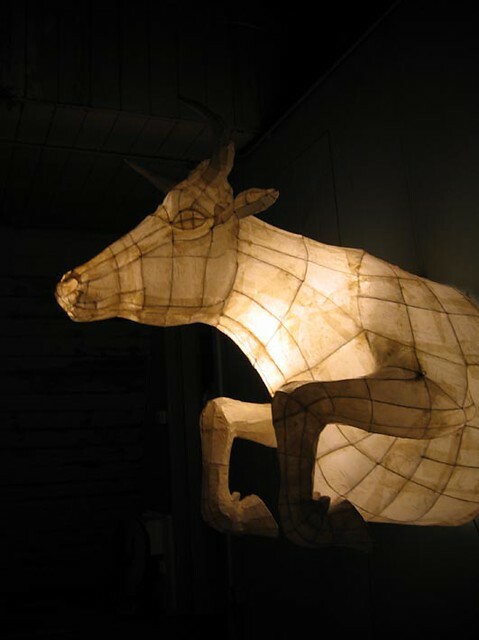 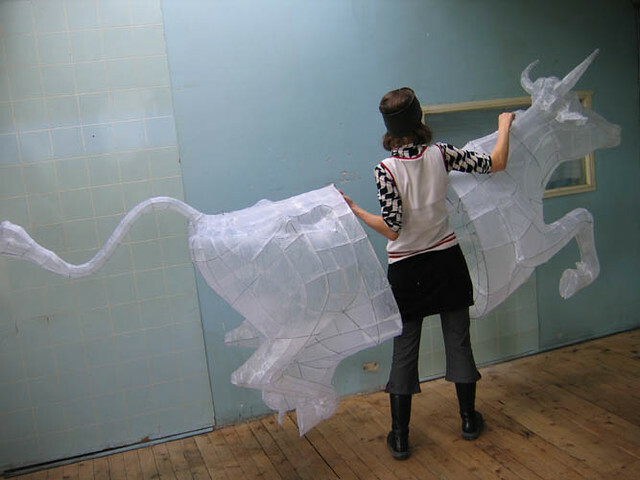 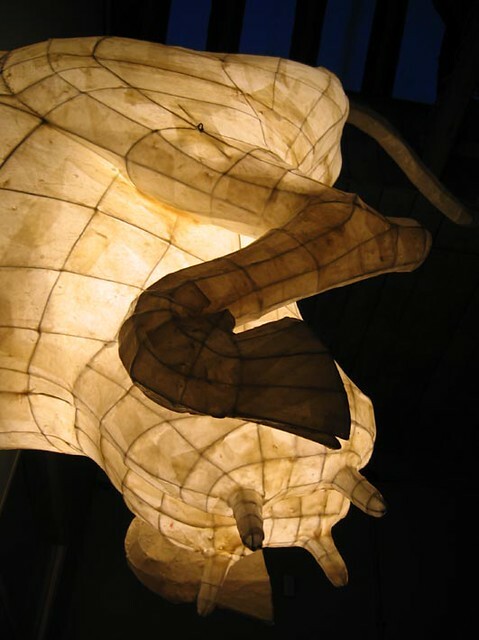 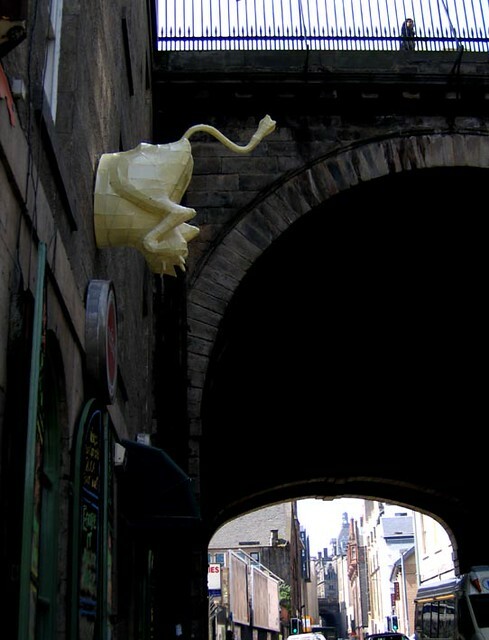 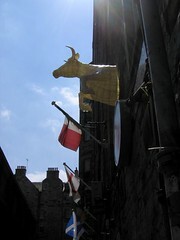 If successful, when the paper is wet stretched taut over the frame, then the essence of the creature is captured in 3D. 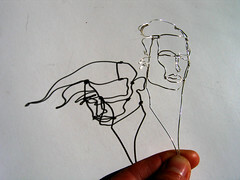 The paper captures the form and visually cuts out all the extraneous lines that are there in the wireframe. And yet the paper is hardly there, being so fine and translucent. It is a tissue paper, the type that is used for the restoration of antique books. The creatures I create are mostly mythological and some entirely made up. 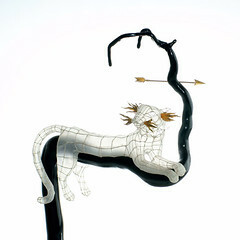 In the past I have depicted existing animals but in the world of myth and fantasy, it is possible to create the life in the animal rather than try to capture it. 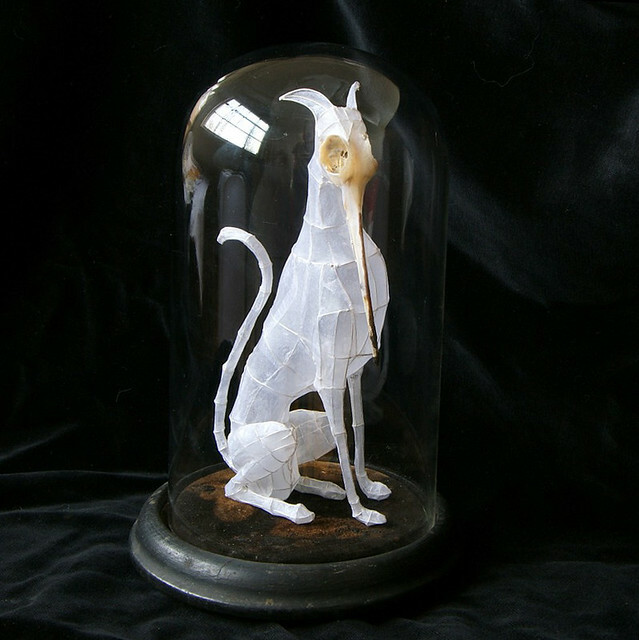 Within mythological tales, what the creature represents is so important and so I try to inject a sensibility or feeling somehow. 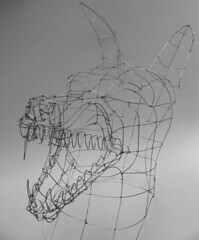 I find that during the process of creating, there comes a point when the beast itself takes over (if I let it) and so I just allow myself to do its bidding. Usually this tipping point comes just after a real struggle with the work: brain-strain from trying to capture the whole work in my head in 3D; doubt and despondency that it will ever work or come to fruition in the way that I’d envisaged. 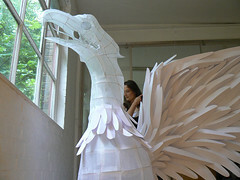 So it never is how I envisage but hopefully it has taken on some life of its own.